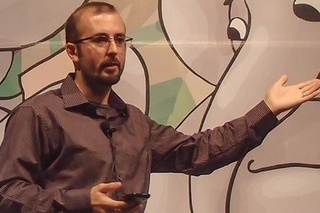 The Fifth Elephant is not just another big data and analytics conference. In the last two years, it has become a must attend learning and training pilgrimage for every big data and analytics professional and enthusiast in India. Our approach – crowdsourced content, thorough review of every proposal and coverage of latest technologies, tools and big data practices – ensures that the conference sessions are of high quality, ahead of the curve and address issues that you want to learn about! 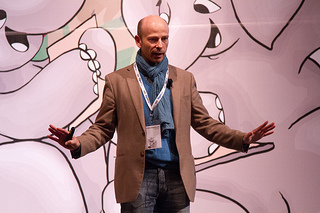 The Fifth Elephant 2014 is a four-day event with two days of hands-on workshops and an interactive conference on analytics. We are organizing run-up events in different cities across India. 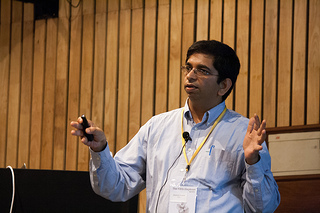 2012 edition of The Fifth Elephant was the first conference in India which focused on big data and analytics. Followed by that 2013 edition also showcased a successfull event with big data, storage and analytics. The event bring together developers, researchers, scientists, analysts, CTOs, CEOs and academicians who took part in various discussions on big data infrastructure, analytics and application of technology for harnessing untapped potential of data. Participants were exposed to some of the popular and emerging technology stacks for storing and processing big data. They learnt about programming languages and libraries available for producing compelling visualisations. Firefox crash reports, Indian Census report, Big data on SSDs, etc were more popular talks. In the analytics track, statisticians and analysts spoke about various tools, techniques, strategies and frameworks for building business intelligence and telling stories with data. Overall, the past editions presented the multiple meanings and facets of big data to participants and helped them in understanding the emerging ecosystem. The Fifth Elephant 2012 brought together community and advocacy organisations such as The Centre for Internet and Society, The Internet Archive, Open Knowledge Foundation Network and Wikipedia India chapter to showcase the value of open data and community supported efforts in collecting and publishing public data. 2013 edition highlighted MongoDB (10gen) and Julia language community. The presence of these organisations facilitated in answering participants’ questions about how to use big data for the benefit of society. MapReduce and the "Art of Thinking Parallel"
What Happens When Firefox Crashes? Aerospike is the world’s fastest, most reliable NoSQL database that operates with unprecedented speed at scale on just a handful of servers. The first flash-optimized in-memory NoSQL database, Aerospike has been in production non-stop for over 3 years, powering a wide range of context driven applications, from web portals to real-time bidding and cross-channel marketing platforms. Aerospike processes 20k-2M transactions per second with predictable sub-millisecond latency, supports immediate consistency (ACID) and operates with zero touch and zero downtime, for customers like AppNexus, BlueKai, Chango, GREE and [x+1] with unmatched price/ performance. Aerospike is backed by NEA, Alsop Louie and Tim Draper. Download the free Aerospike Community Edition at www.aerospike.com and follow @aerospikedb. Media.net is a leading global contextual advertising company that provides a wide range of advertising and traffic monetization solutions to a substantial and diversified client base. With more than 450 employees, Media.net has one of the largest teams worldwide building a global contextual advertising business. Since its founding, Media.net has constantly broken new ground in building innovative contextual advertising solutions. Our services are exclusively made available to web publishers with high-quality content. We aim to consistently deliver long-term superior performance by using leading-edge technology, high-quality research, and proprietary processes that allow us to display the most precisely targeted, highest paying sponsored links and ad topics. Nexus Venture Partners is India’s leading venture capital fund, with offices in India and Silicon Valley. Nexus invests in a variety of technology companies: Cloud.com (Cloud provisioning platform acquired by Citrix), Gluster (Open source cloud storage, acquired by Red Hat), Pubmatic (Publisher Ad revenue optimization), DimDim (Open Source Web Conferencing acquired by Salesforce.com), Snapdeal.com (Ecommerce), MapMyindia (Digital Navigation), Netmagic (Managed Services and Cloud infrastructure provider, acquired by NTT), Komli (Online ad network), Druva (computing End-point protection), Unmetric (Social media analytics for business applications), ScaleArc (Database Infrastructure software), Indix (Big Data & Analytics), 0xdata (fast predictive analytics on big data), Elastic Box (cloud application management platform). The Nexus team is particularly interested in facilitating innovative, ground-breaking ideas among startups in the early stages. Nexus Venture Partners will be present at The Fifth Elephant 2014 to talk to developers and individuals who have ideas for innovation in the space of big data. To know more about the portfolio companies, pitch your ideas, seek assistance and expertise (and office hours), visit the Nexus Venture Partners lounge. 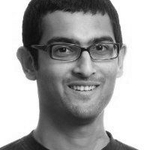 Fireball is a stream processing engine at Flipkart. It powers real time analytical dashboards to make it possible for business to take time-sensitive decisions at scale. Fireball can process millions of events (with flexible, json-like schema) per hour that require: executing custom process (usually SQL-like) to derive business metrics from the incoming events over large number of dimensions (on an average 10 dimensions for each measure) with very low latency and ensuring correctness all the time (enabling time sensitive decision-making). So how do you build such a system? How do you store such a large amount of time-series data to ensure roll-ups, drill-downs on different dimensions? 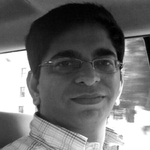 Meet the Flipkart data platform team at The Fifth Elephant 2014 and learn more. At Myntra, India's biggest online fashion store, we continuously strive to provide the best experience to our customers. Being in a niche market its mandatory for us to understand our customers, their preferences, our partners, their products etc. For doing this we leverage a lot of business intelligence, big data analytics and machine learning techniques. Being one of the most popular Indian website we continuously deal with challenges of storing and presenting web scale data. Over the period of 3.5 years we've gain a lot of interesting insights in Indian fashion & lifestyle market. At fifth elephant we would like to share some of our challenges, solutions and learnings and would also like to hear your ideas of bettering it. 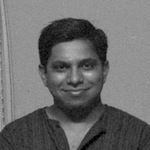 Wingify builds software and tools for analytics, testing and landing page optimization. Our product, Visual Website Optimizer (VWO), is one of the leading website testing platform used by more than 3,700+ customers across 80+ countries to analyze web activity and increase conversions. Companies such as Microsoft, General Electric, Rackspace and the American Red Cross use VWO to understand how website visitors engage with their digital properties. VWO offers marketers an easy-to-implement but highly effective A/B testing, Multivariate testing, behavioral targeting, usability and heatmap solution that requires zero coding skills. Qubole is a leading Big Data as a Service provider. 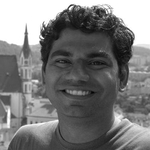 Ashish Thusoo and Joydeep Sen Sarma, creators of Facebook's big data infrastructure and Apache Hive, founded Qubole to make it simple to prepare, integrate, and explore Big Data in the Cloud. Qubole's Big Data as a Service Solution, Qubole Data Service (QDS), runs on the top performing elastic Hadoop engine on the cloud and includes a library of data connectors with a graphical user-interface for Hive, Pig, Ooze and Sqoop. QDS makes it easy to inspect data, author and execute queries, and convert queries into scheduled jobs. With QDS, the power of Big Data meets the simplicity of the Cloud. The largest brands in social media, online advertising, entertainment, gaming and other data-intensive ventures trust QDS to handle their most challenging Big Data requirements at a fraction of the cost of alternatives. Customers include Pinterest, Quora, MediaMath, Insightera, Vocanic, TubeMogul, Komli Media, Pubmatic, DataXu, YouGov, Radico and many others. CA (India)Technologies houses both Sales and Research & Development facilities. CA (India)Technologies, has its Technology Centers in Hyderabad, Bangalore and Baroda and sales offices in Mumbai, Delhi, Bangalore and Kolkata. We work with some of the best tools and technologies under the Hadoop umbrella (Hive, HDFS, Phoenix) and various NoSQL stores such as HBase, MongoDB and S3. We process over 200MM lines of log data daily to detect any anomalies in our cloud platform and our applications collect massive amounts of transactional and customer data from a variety of retailer systems. This is then mined by our systems and algorithms to build customer segments and behavior analysis to help organizations personalize their customer engagement efforts. It's no wonder that some of the most loved brands around the world such as Benetton, Marks & Spencer, Nicole Miller, Jack Wills, TM Lewin, Nike, Puma, Nokia, Pizza Hut, Store21, Tennis Express and VLCC continue to leverage Capillary’s solutions to build value for their customers. We are named Marketing Magazine's CRM & Loyalty Agency of the Year 2013; a Gartner 2013 Cool Vendor; and one of Mint/WSJ Bloomberg Businessweek’s Hottest Technology Businesses of 2013. We are one of the top 50 startups in Silicon Valley as per TiE magazine and CIO Asia’s 20 Most Promising Product Companies. Capillary is backed by Sequoia Capital, Norwest Venture Partners, Qualcomm Ventures and American Express Ventures. Minneapolis-based Target Corporation (NYSE: TGT) serves guests at 1,916 stores – 1,789 in the United States and 127 in Canada - and at Target.com. As an extension of our headquarters, Target India operates as a fully integrated part of our global team. More than 2,900 team members here are engaged in work that supports Target’s global strategy across business areas such as technology, marketing, human resources, finance, merchandising, supply chain, property development, analytics and reporting. Enterprise Business Intelligence (EBI) is one of the key functions at Target that consists of Analysis, Reporting and Data Quality Teams. While we are constantly looking for avenues that will help us move up the value chain, this conference is a great platform for us to network and learn from industry leaders on trends that are shaping the industry in the growing arena of big data and analytics. We are also looking forward to an opportunity to meet a diverse talent pool who can help shape the EBI function at Target. We strive to make our events friendly, safe and harrasment‑free for all. Please observe the code of conduct at the event. 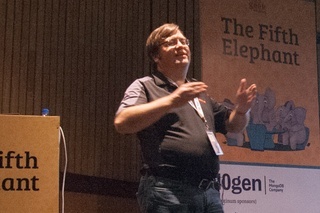 The Fifth Elephant is a conference by HasGeek.